Stefan Anker has been a motor journalist for 30 years. He is slowly getting used to the triumph of electronics. Autonomous driving and ride hailing took center stage on the ZF booth at this year's CES in Las Vegas. Torsten Gollewski, Head of Advanced Engineering at ZF and Oliver Briemle, Head of Driving Function Development and Central Control Units, explain the challenges and state of the art with these frontline themes. By 2024, there will be an estimated 1.5 million of these purpose-built vehicles worldwide. Isn't that figure very optimistic? Gollewski: Surveys have shown that this market is growing strongly and requires innovative vehicles. Study authors and we too see very high demand for these kinds of new mobility concepts, particularly in cities. This also applies to truck and transport where there is an increasing shortage of drivers. That's just two use cases driving forward autonomous driving. How realistic is the development of autonomous inner-city driving services in the near future? Gollewski: Ride hailing in an autonomous vehicle is just one use case. It will still take some time before this option is universally available. We will initially see autonomous vehicles in specially defined environments. Hence our new partnership with French mobility service provider Transdev. Transdev has transported two million passengers in autonomous vehicles to date. In Rotterdam, for instance, an autonomous shuttle established the link between a residential area and an urban railway station 15 years ago. The solution operates in a closed-off area, albeit without a safety driver. 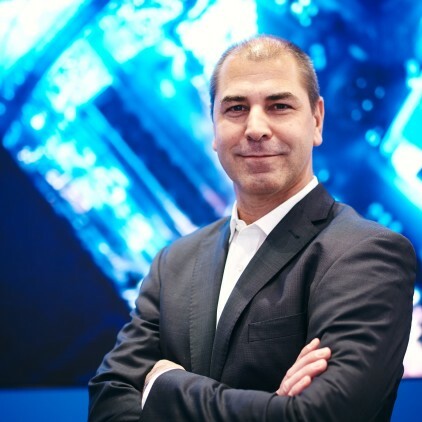 Torsten Gollewski heads Advanced Engineering at ZF. Developing a supercomputer for use in autonomous vehicles is certainly no easy task. What were the biggest challenges during the development of the ZF ProAI? Briemle: Developing and validating the high computing power required for our purposes in the shortest possible time is a Herculean task. Our current ZF ProAI models offer more computing capacity than all the control units in a conventional passenger car. Gollewski: Absolutely, these supercomputers are in a totally different league in every respect. We are talking here about control units, some of which are water-cooled due to the huge computing power – and also due to the vast amounts of heat generated. Thermal management in the car is therefore another challenge. You have been working together with NVIDIA to develop the new top-of-the-line model, the ZF ProAI RoboThink. To what extent do the two partners keep their cards close to their chests? Briemle: Collaboration between us is already very close. We don't go into the minute detail, but both sides are very open. To quote just one example: NVIDIA developed a camera application. However, at present there are two different camera standards for automotive applications. To support this, we developed the second application and then made it available to NVIDIA. Gollewski: One of the advantages of our ZF ProAI platform is the open, modular, scalable and, in turn, very flexible approach. Customers can opt to use our solutions, but also have the freedom to tailor software to their needs or to use chipsets from various manufacturers. Oliver Briemle, Head of L4 Feature Development, Domain Control and V2X. How do updates work with the ZF ProAI when it is being used in the vehicle? Briemle: Updates are normally provided over the air, in other words wirelessly via Wi-Fi or Bluetooth. If we want to update larger, more complex issues, then we use a network connection. A smartphone utilizes just 15 percent of its capabilities at the sales launch. It gets better with each update. So the product matures while it's with the customer. How does that work with the central computer ZF ProAI? Gollewski: Whatever we release must of course meet all the security requirements from the word go. However, we fully leverage the advantages of artificial intelligence: learning from experience, just like humans do. The experience, scenarios and data collected in the system backend find their way back – in the form of validated updates – into the control unit, thus improving functionality. Why don't you have just one ZF ProAI rather than a whole family of this supercomputer? Gollewski: Depending on the intended use and the associated complexity of the required tasks for the vehicle, you don't necessarily always have to fit the most powerful high-end model into the vehicle. That's why we offer four different models at present: From the entry-level model ZF ProAI Gen1, which is designed to fulfil all NCAP 2022 standards, through to the ZF ProAI RoboThink. The latter is perfectly suited for usage in autonomous scenarios, in other words from Level 4 and higher. 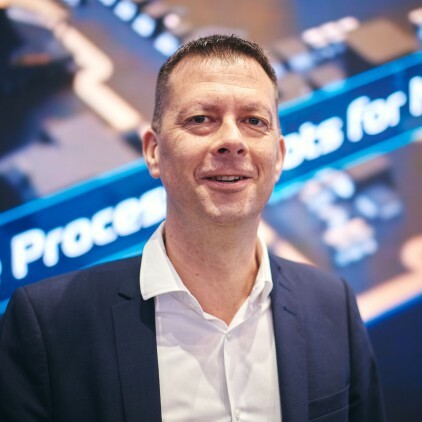 Video: Oliver Briemle about the ZF ProAI RoboThink, the most powerful AI-capable processing system in the automotive field. And how powerful is this kind of computer? Briemle: The ZF ProAI RoboThink provides performance of up to 150 teraOPS. That is 150 trillion operations per second. Scalability means we can combine up to four boards, equivalent to 600 trillion operations. This is phenomenal computing power, but necessary, bearing in mind that we process signals from up to 30 sensors – including radar, Lidar and cameras – in high resolution and derive the necessary commands for the on-board vehicle control in real time. When will everything you have developed be commonplace on roads? Gollewski: With the passenger car customers that will depend on what each manufacturer would like to offer and when. Autonomous driving will come sooner with people moving; it will be incorporated gradually into the market over the next few years. Autonomous driving will then be commonplace in some cities. The technology for autonomous driving is already very advanced. What Europe doesn't have is the legal framework for using the technology. How do you deal with that? Gollewski: You can do things in the United States or China that you can't in Europe. Precisely because in these countries the legislation entails different requirements. We need to make that happen in Europe so we aren't disadvantaged when competing internationally. We should be able to demonstrate in Europe what Europe can do. And so politicians need to lay the foundations – right now, and not in three or five years' time. As expected, CES 2019 was overwhelmed with cool new technologies. The IT Innovation Trend Scouts from ZF were able to get a first-hand look at some of the technologies. Driverless cars require artificial intelligence and enormous computing power. ZF ProAI RoboThink is the most powerful AI-capable control unit in the automotive field. Moreover, the various ZF ProAI models offer exceptional flexibility.